Pothashang News Service: Imphal, April 1, 2018: Distinguished journalist of Manipur, Khelen Thokchom passes away this morning due to heart attack. He left the world serving The Telegraph as special correspondent. Team Pothashang grieves on the demise of the senior journalist who was also the consultant of Pothashang news service. His last reports on The Telegraph were “Arms theft in Manipur” and “Dorendro laid to rest with state honours” published today. The journalist fraternity laid floral tribute to Khelen in a homage function held at Manipur Press Club. A two minute silence was observed praying for his soul to rest in peace. 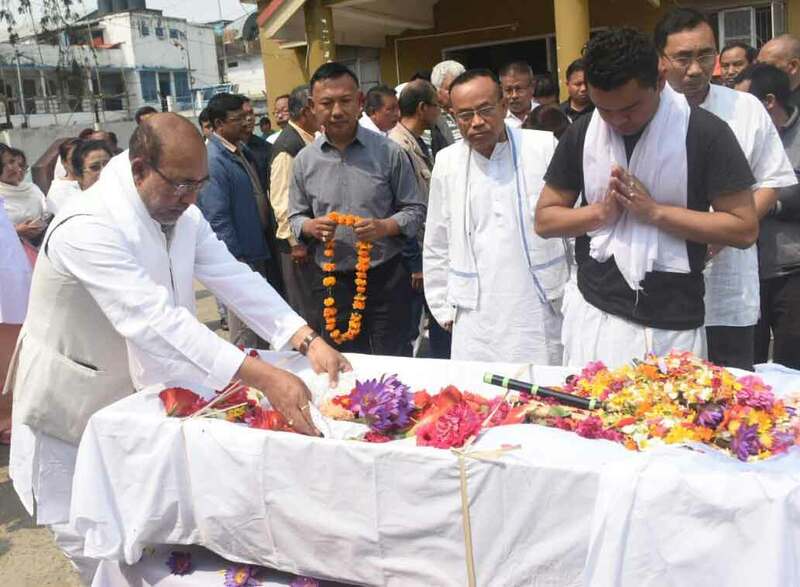 Chief minister Nongthombam Biren Singh visited the home of Khelen ahead of paying tribute. He also joined the journalists at Manipur Press Club. Khelen was 54 when he left.